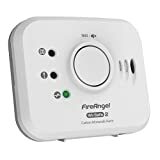 If fire safety is something that you give quite a bit of importance to and if you would like to invest in decent devices and accessories that would help with measures that you take against fire related accidents, then FireAngel carbon monoxide alarms would be among the most important of smoke and CO detectors that you should be going for. 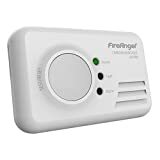 A FireAngel carbon monoxide detector or fire alarm would quickly alert you in case undesired or unexpected levels of gases associated with fire eruption are detected within your immediate surroundings. 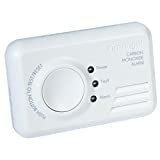 There are several types of carbon monoxide detectors available in the market, some of them being a 2-in-1 thing working as both CO and smoke detectors, from different manufacturers. 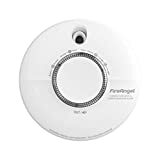 The best deal would however be possible through reliable brands which is the main reason the vast majority seem to be giving preference to FireAngel carbon monoxide alarms due to their efficiency and reliability. Sealed in power pack, never need to change the battery! 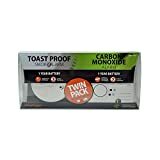 An internal power pack will power the alarm for 10 years in normal operating conditions. Suitable for wall mounting or freestanding offering greater flexibility in positioning. 10 event alarm memory function. Up to 50 alarms can be linked in a single network. Certified to BS EN 50291-1:2010 and BS EN 50291-2:2010. The groundbreaking Thermoptek technology in the ST-622 provides responsiveness to all fire types in one alarm. Thermoptek technology combines the very latest in optical sensing with thermal enhancement.